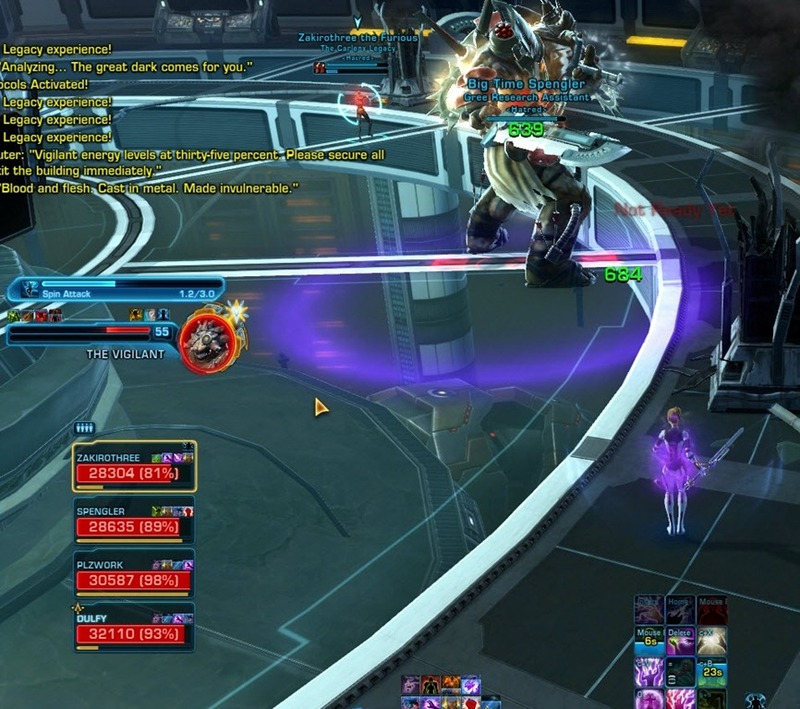 SWTOR hardmode Czerka Core Meltdown flashpoint guide with explanations and videos of boss mechanics. 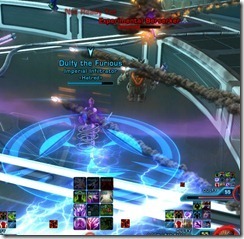 Czerka Core Meltdown is a new flashpoint to be introduced in Patch 2.3 and is part II of the Titans of Industry duo. 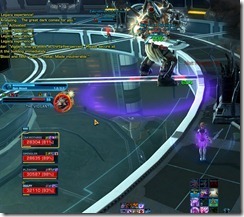 Czerka Core Meltdown is the second flashpoint in Titans of Industry flashpoint series and continues the story left off by Czerka Corporate Labs. Like the first flashpoint, it also have three bosses. It has a more linear design as well. Last boss drops Arkanian Ear or Implant. This boss can be quite difficult if you are not sure of its mechanics. Tank need stand next to the green generator once sandstorm comes up and drag Duneclaw to him. 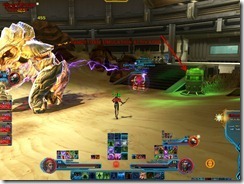 Duneclaw will channel rampage, an AoE that originates from each player. This will destroy the generator and end the sandstorm but only if Duneclaw is directly on top of the green generator. 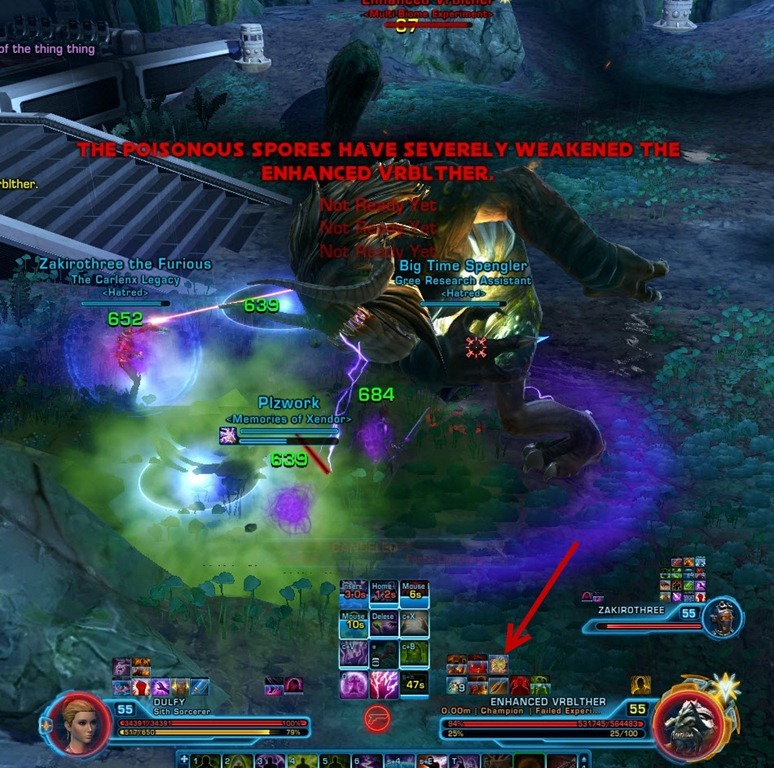 Spread out during Rampage to avoid overlapping damage. When you see the text Sandstorm Simulation Activated on your screen, you will need to find a generator in the room that is lit up green (this is the generator causing the Sandstorm). The tank will need to run to the generator and drag Duneclaw to it. . The reason for this is that very soon after Sandstorm activates, the boss will start channel Rampage. 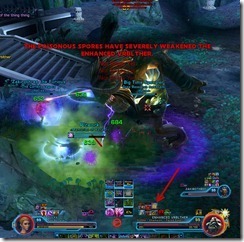 Rampage is an AoE attack that deals ~4k damage per second for 4 seconds. Unlike other AoE attacks, this one originates from every player. His rampage on top of the generator will destroy it and end the sandstorm. 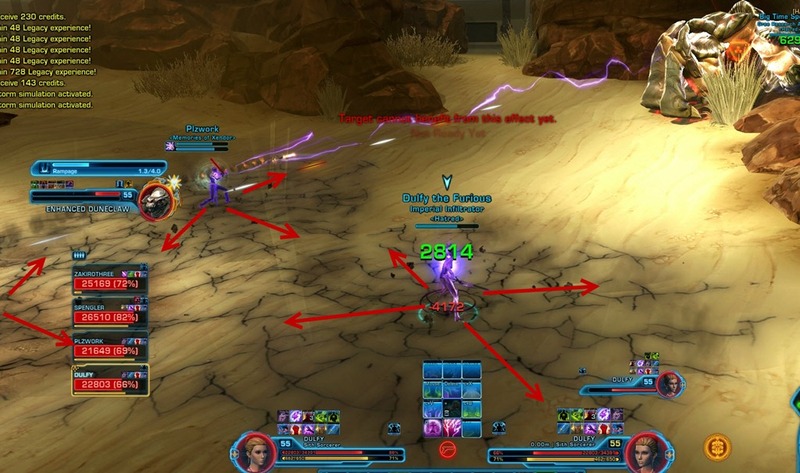 Also, this means that players should spread out and not stack on each other as doing so can cause overlapping damage. This is largely a tank and spank fight with some additional mechanics thrown in. 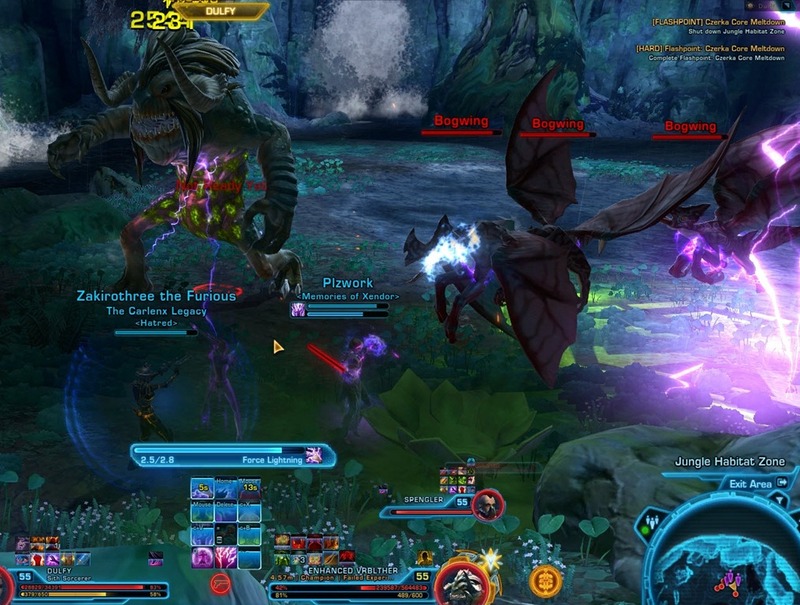 Popping the Poisonous Spore near the boss will put a debuff on the boss (lasts 40s) that will increase the damage it receives. At 80, 50, and 20%, three Bogwing adds will spawn and need to be taken care of. Scattered around the room are four Poisonous Spores that you can use near the boss. If the boss is close enough, popping these spores will apply a debuff on the boss that increases the damage it receives from your party. This debuff lasts for 40 seconds so you will need to kite the boss around the room. The spores do respawn so you don’t need to worry about running out of Spores due to low DPS. 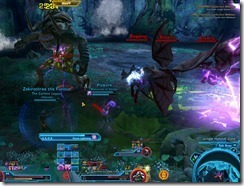 Lastly, at 80%, 50%, and 20%, three Bogwing adds spawn and should be killed quickly by the DPS. This fight can be a bit difficult to heal through since the boss does random 10k attacks to group members in addition al adds and AoEs. 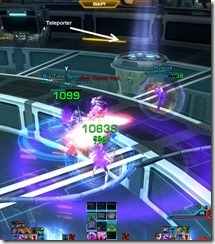 The Vigilant is not attackable until all 7 Data Integration Points (Cores) are destroyed. He will be shooting random group members for 10k damage with his Eye Lasers attack every few seconds until all 7 cores are destroyed. Boss also target a random group member with a blue circle that turns orange. An Ion Blast follows shortly and ticks for 4k damage/second to anyone nearby. 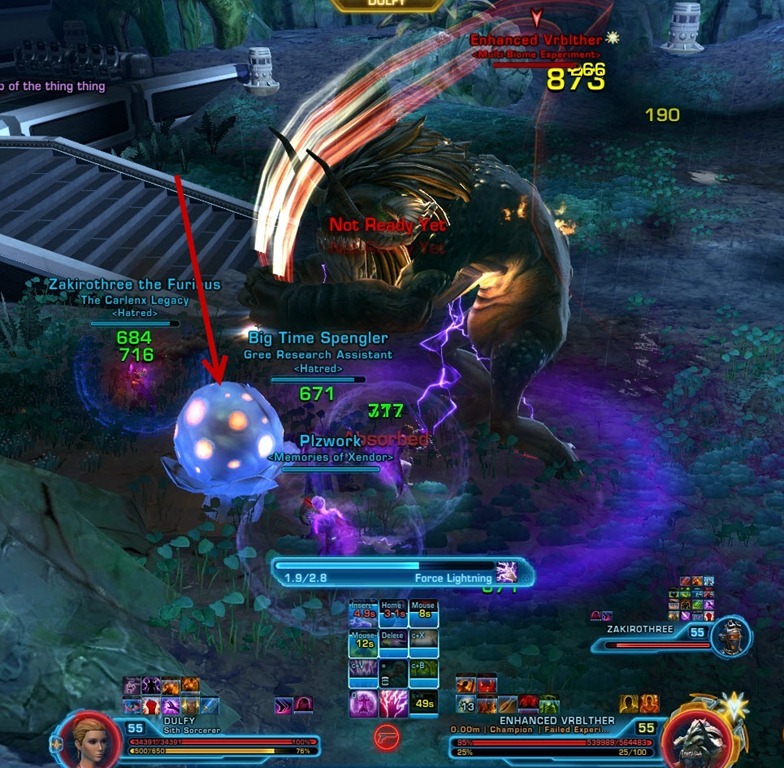 Every time a core is killed, a couple adds will spawn and need to be killed. Once all 7 cores are destroyed, boss will jump down. He has a pull with a Spin attack afterwards that you should avoid. 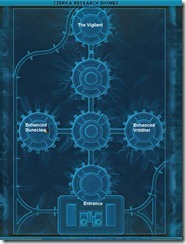 Inside the room are 7 Data Integration Points, which I will simply refer to as cores from now on. 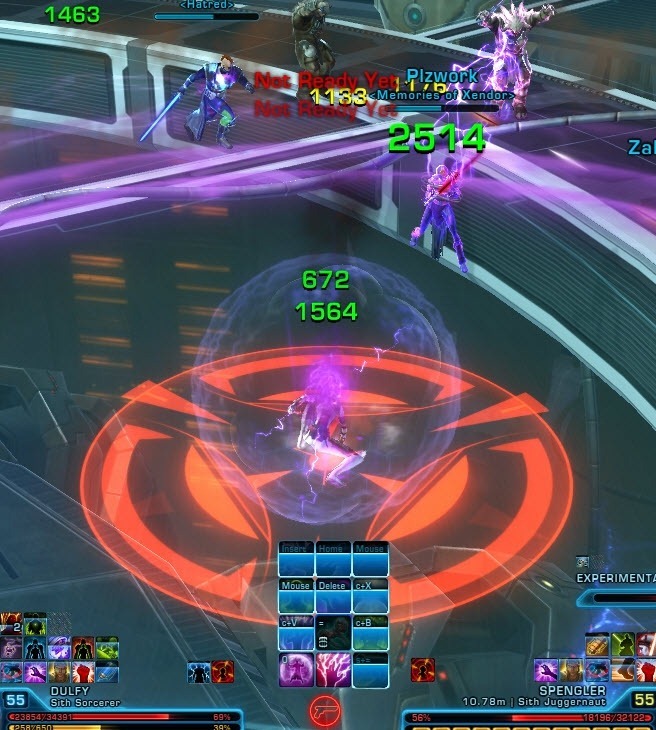 There are 4 in the inner ring and 3 in the outer ring that can be accessed by a teleporter once some inner cores are killed (for melee, ranged can kill them without using the teleporter). You cannot damage The Vigilant until these cores are killed. To make matters worse, everytime you kill a core, a couple adds spawn that you will need to deal with. 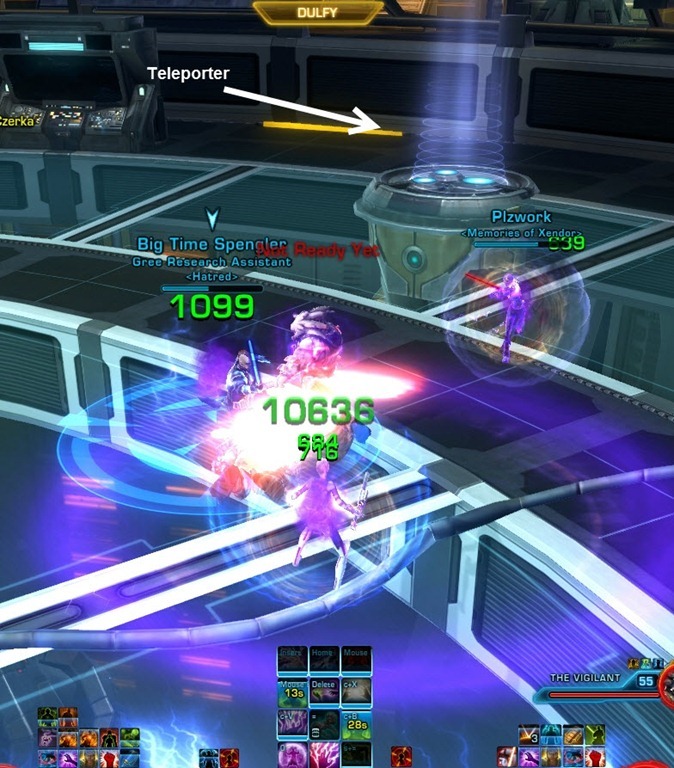 In addition to the data cores, you will need to pay attention to two other things: unavoidable 10k random hits from The Vigilant and AoE circles. 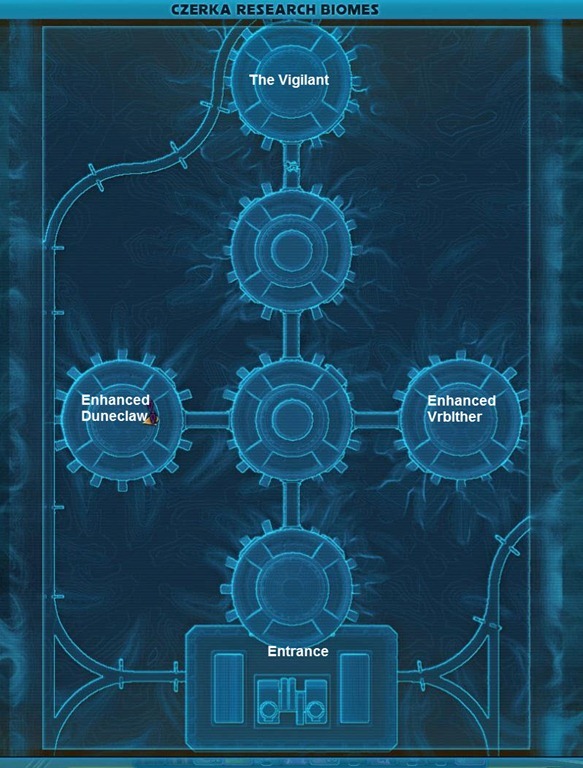 The first is mostly up to the healer but positioning of the AoE circles will come down to your awareness. These circles will first be colored blue and follow you around for a few seconds. Soon after, they will turn orange and stop following you. You have a couple seconds before an Ion Blast lands in the orange circle. The Ion blast will persist as a lighting AoE that ticks for 4k/second to anyone nearby. 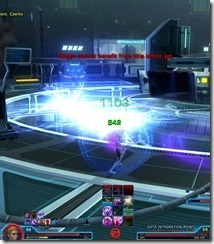 Finally, after you have destroyed all 7 Data Integration Points, The Vigilant will jump down and becomes attackable. He is mostly a tank and spank except for his Emergency Protocols (a pull) and Spin Attack (AoE) that you will need to run out to avoid. Thx, lightning quick as ever 🙂 What’s the loot like, same as in other 55 HM FPs? Items for Reputation gain with Acquisition Corps / Adjudicators? Black Market/Arkanian stuff on the last boss and you may get a rep item with the new daily area rep.
Is there a quest associated with these Flashpoints besides the Czerka Weekly quest from the new CZ-198 Daily area? What are its rewards? So how does high random damage fit into role agnostic queueing? 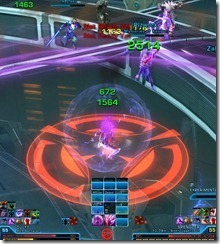 can new FPs be completed without a healer and/or tank? Thanks for the quick info as always. The random damage isn’t noticeable in storymode, which is role neutral. Hardmode isn’t role neutral. Oh okay. Thank you for the clarification. Random damage isn’t actually random – it hits the person closest to the Vigilant when the core goes down. Have heard these are pretty easy even on HM. Did you find that? If so do you expect that they will buff the FPS difficulty as they did Nightmare TFB when it went live? They are alright. I think some people are running them in full Arkanian/Underworld and they may seem a bit easy. I am running in full underworld myself and I do find them a bit easy except for the last boss. They may tune up abit as some people have complained on the forums. However, those flashpoints drop Arkanian/Black Market stuff in the end so higher difficulty may not seem necessary. I’ve just finished this on HM now that’s it’s gone live, and i have to say the last boss is probably the easiest 🙂 dunno what gear the rest of the grp had, but atleast arkanian lvl. In the Duneclaw fight, is it randomized which generator lights up or has a pattern been spotted? 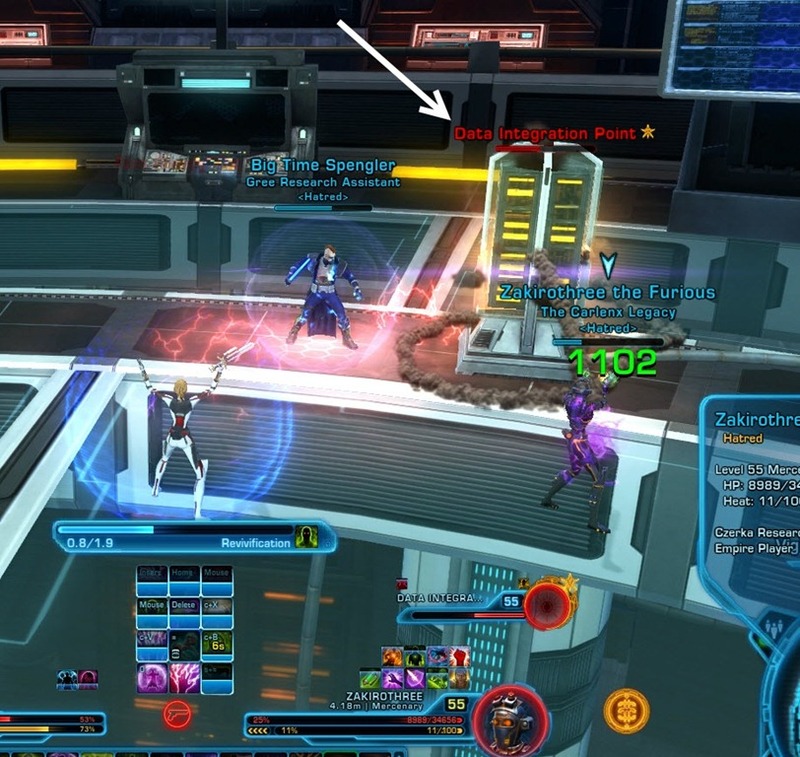 For some reason i read the patch notes as saying there was 1 new flashpoint each for empire and republic. Looks like i read it wrong. Is there any story differences between each side? This must have changed since PTS. Duneclaw’s rampage wouldn’t destroy the Sandstorm Generator unless the tank was near the Generator, and his fists actually had to come down and rampage on top of the Generator. It wasn’t. 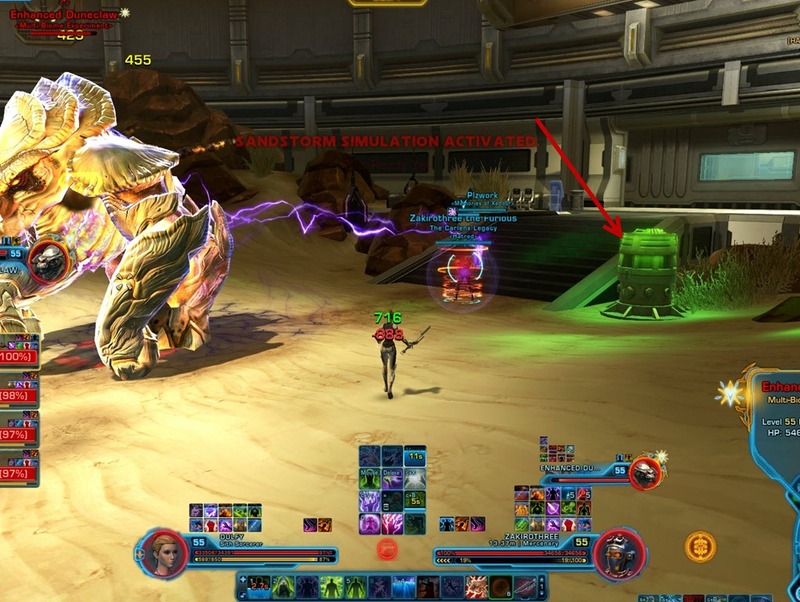 Guide is wrong – non-tank player can stand there forever and generator will NOT blow. Movie is correct – tank needs to drag boss and position him correctly. This is my experience as well. Dulfy may want to update the guide to reflect the correct information. Does the last boss in meltdown only drop a specific ark piece or is it a random? Ran it twice: Ear & Implant. Dropped Ark Implant for me once and I think also a pair of gloves didn’t win the rolls so not sure but pretty sure it was different pieces. Duneclaws rampage isn’t killing the generators for me. During final boss, when we were about to finish destroying the cores, we had a problem. Core nº 7 was nowhere to be found. The boss kept casting the bolt dots on players, but the core 7 just wasn’t there. We exit the phase, reset it and one-shot everything again (whole flashpoint reset). Just wanted to let you guys know if you had the same problem, that you’re not the only ones. I’m not sure what’s going on… first three rounds of this flashpoint went fine, but my fiance and I decided to run story mode today and as soon as we destroy the Data Integration Points, The Vigilant becomes enraged, making it impossible for us (Tank and Medic) to 2 man this Group 2 Flashpoint. 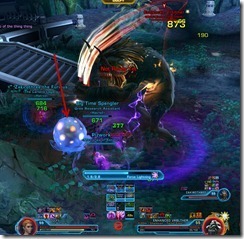 On the last boss: when you damage the “upstairs” cores, there is party wide damage. The ones on the ground don’t do this so make sure the last core you destroy is on the ground. Makes healing a bit easier in the last phase. Duneclaw is very difficult for some reason on my juggernaut tank. Unless I unleash (remove all slowing / stun effects) I will NOT make it to the generator on time, and since it’s on a two minute cooldown i can only do it every other sandstorm… is it supposed to be that difficult or am I doing something wrong? boss in the center of the room between sandstorms. Isn’t Black Market gear enough? I’ve tried to heal everyone, but they were dying quickly at the very first boss. I’have been told that was my fault. Was it really mine? since the 2.8 patch I have seen some changes with the final boss. The most notable was that I’ve seen him come down after destroying all the integration points and then after a few seconds jump back to the middle and 3 integration points would respawn. If the tank doesn’t get the Sand boss on the barrel ASAP, it’s 4k every player every 4 seconds AND rampage. 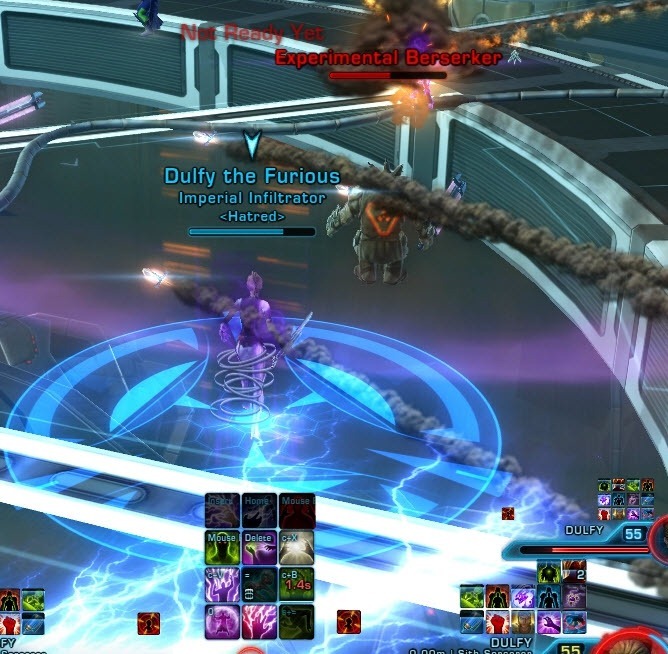 The duneclaw is a huge challenge even in tact mode with a pug group, especially without a dedicated tank to drag the boss around to the tanks. The problem is most pugs don’t know what they’re doing and are incapable of following simple directions. Basically, I consider this FP unpuggable.